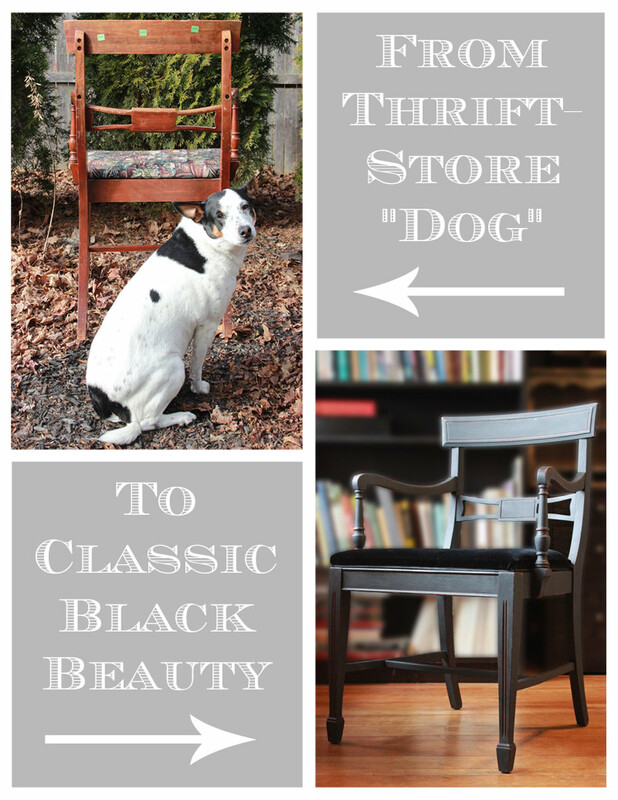 Hello, Graphics Fairy Friends – Heather from Thicketworks here with a simple technique to create this Classic Black Beauty Paint Finish! 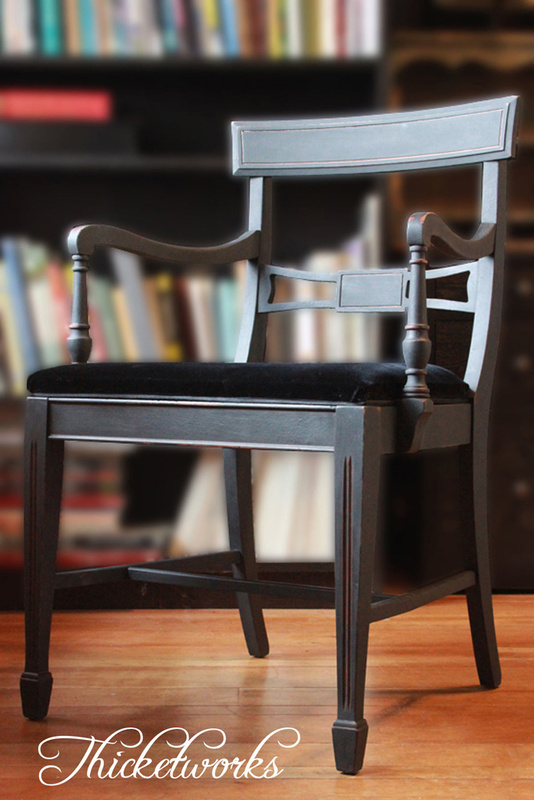 This little chair had gorgeous lines, but was in dire need of some love. If your rescued piece has any upholstery you’d like to replace, remove the existing fabric carefully, using a screwdriver and pliers. This chair pad had six layers of fabric! 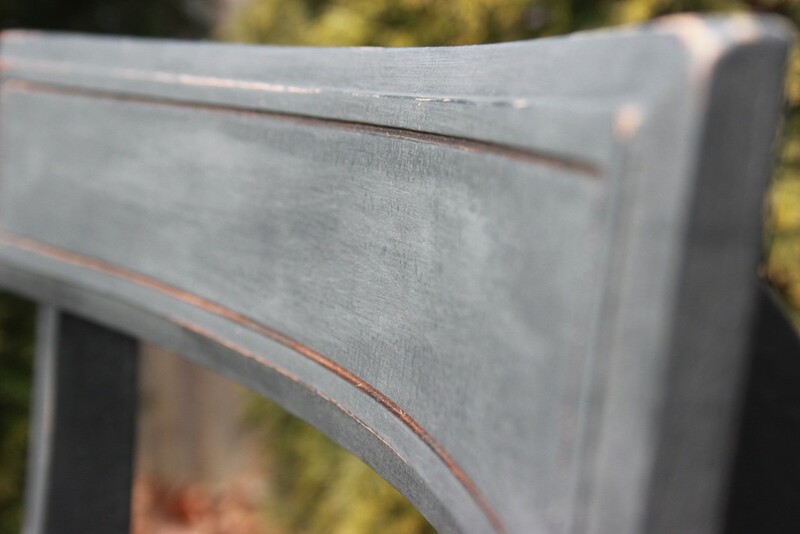 Note: There’s no need to sand, prior to painting with HTP Chalk Type Paints – making a project like this one a BREEZE! 2. 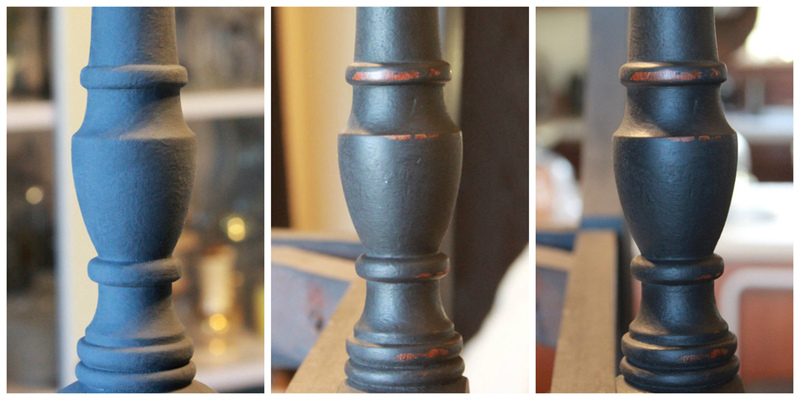 Apply two coats of Black Bean Chalk Type Paint. I allowed two hours drying time between each one. 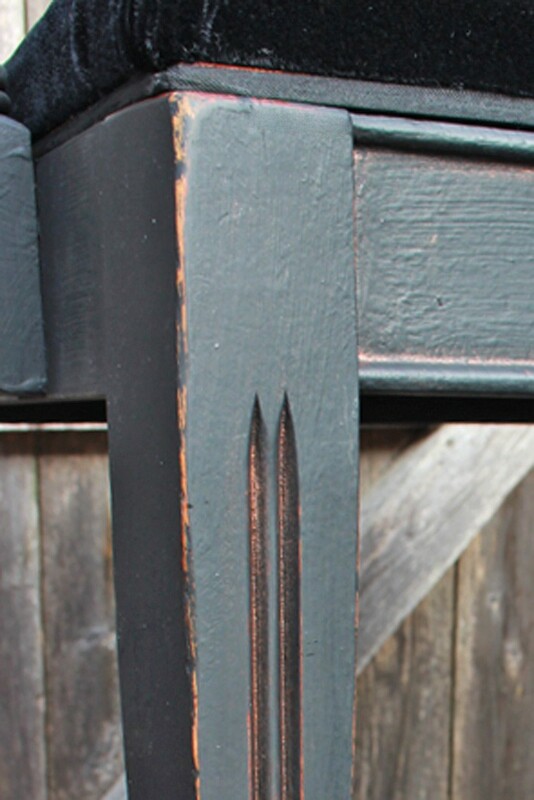 Note: For this finish, allow the final coat of paint to cure overnight, prior to distressing or waxing. 3. 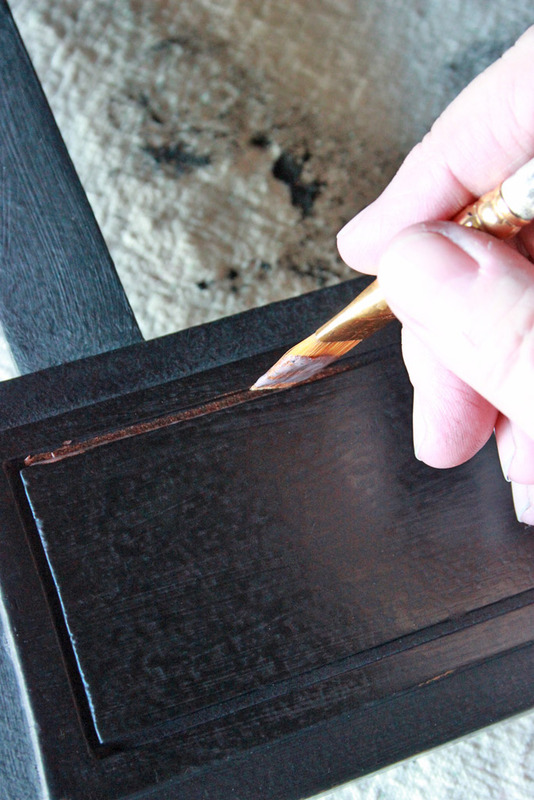 When the paint has cured, apply a coat of Jet Black Soft Wax with your Best Chalk Brush, making sure to get in all the nooks and crannies. Note: This preliminary layer of wax will make it easy to wipe back any metallic finish that touches areas you don’t wish to tint. Uncoated Chalk Type Paint will be harder to ‘clean’. 7. 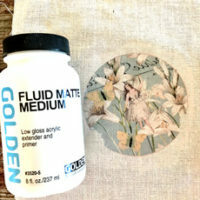 Wipe away any excess Gilding Patina – a damp rag is perfect for this clean-up step. 8. Add metallic detailing wherever you want to see a little glimmer. 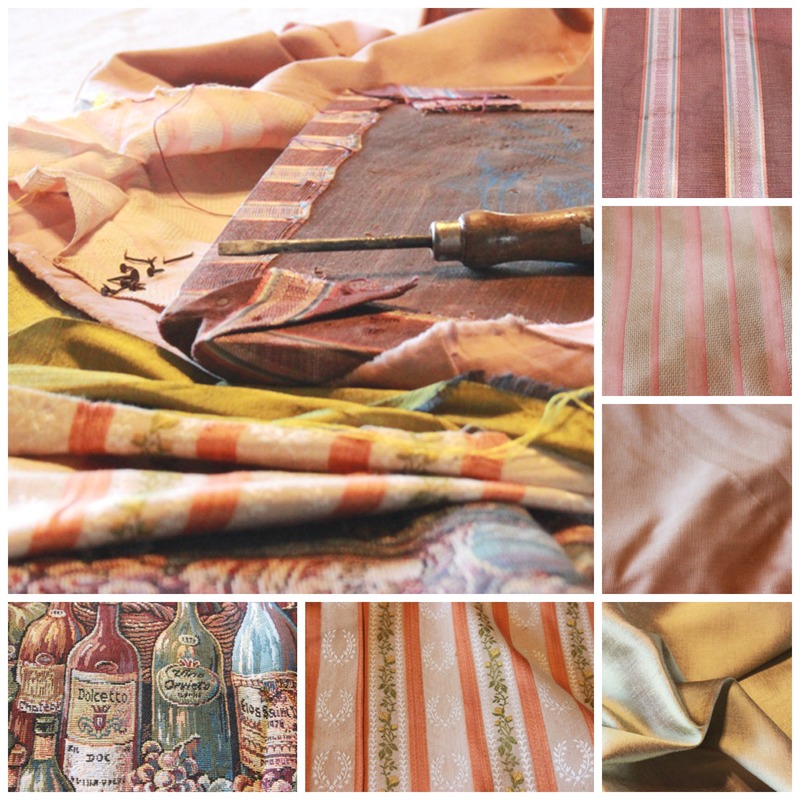 I love the Gilding Patinas, they’re so versatile. In this detail shot you can see where I got Copper Penny on the face of the chair – wiping it off with a damp rag leaves a perfect line of copper in the groove! 9. 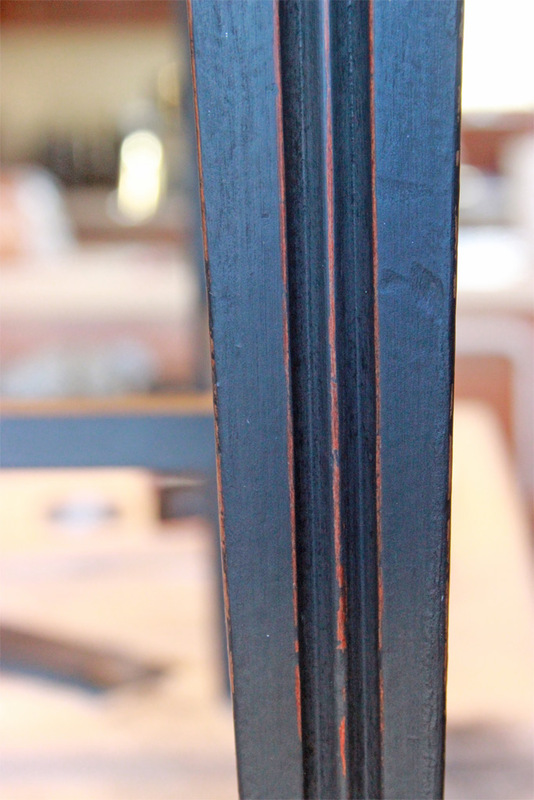 Add a final touch of Jet Black Soft Wax on the areas exposed by distressing, and buff. A. 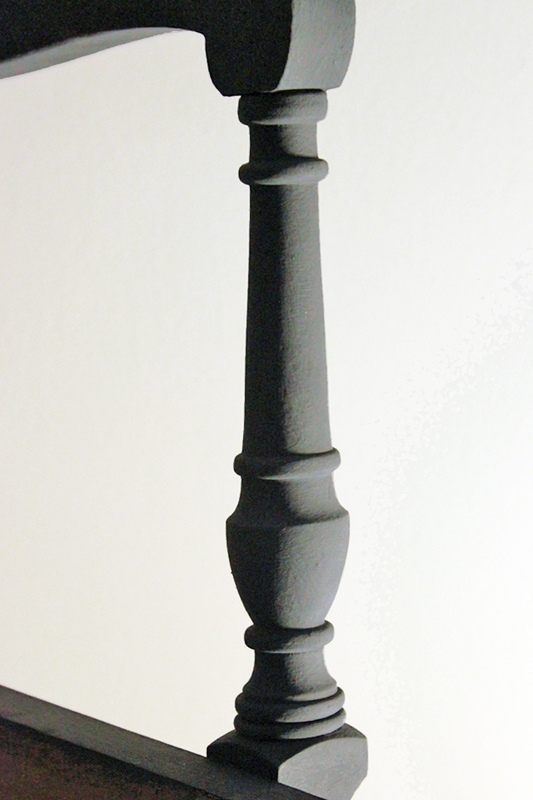 Paint with two coats of Black Bean Chalk Type Paint. B. 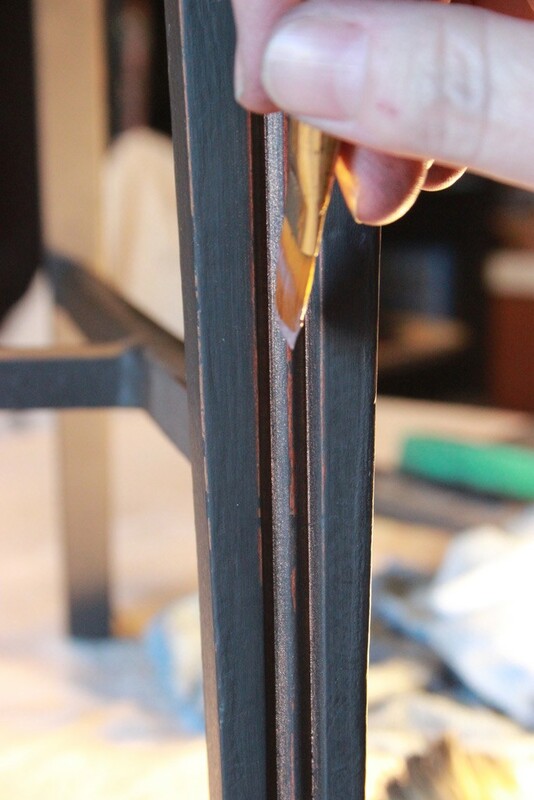 Apply a layer of Jet Black Soft Wax, buff, and distress lightly with 400 grit sandpaper. 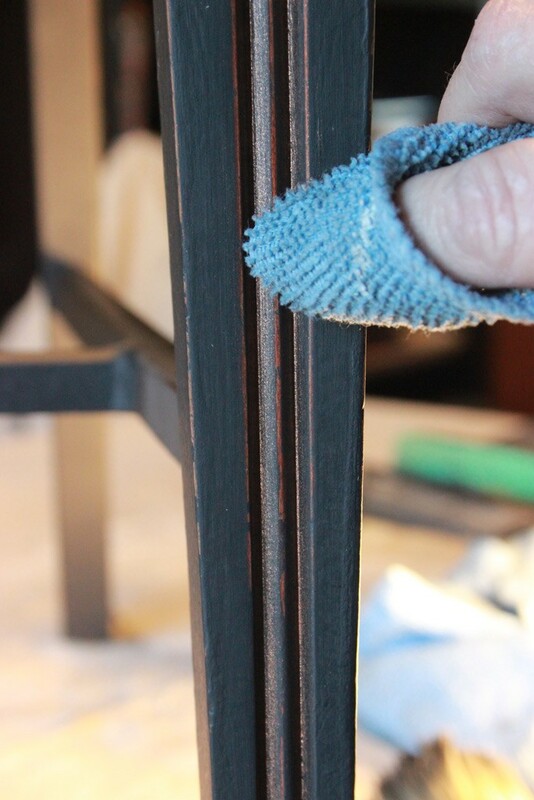 C. Apply a final layer of Jet Black Soft Wax over the distressed areas and buff: this deepens the finish and the wood tones become richer. 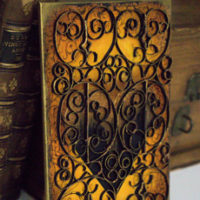 I love the final result…it reminds me of antique furniture I’ve coveted (but couldn’t afford) over the years. 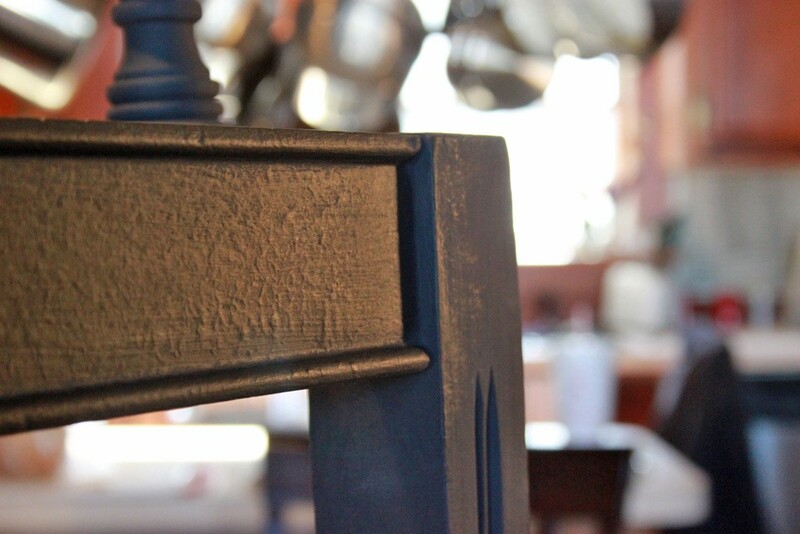 HTP Chalk Type Paints are so easy to work with…whatever your style, they make it easy to get the look you want. You can distress a little, a lot, or not at all. 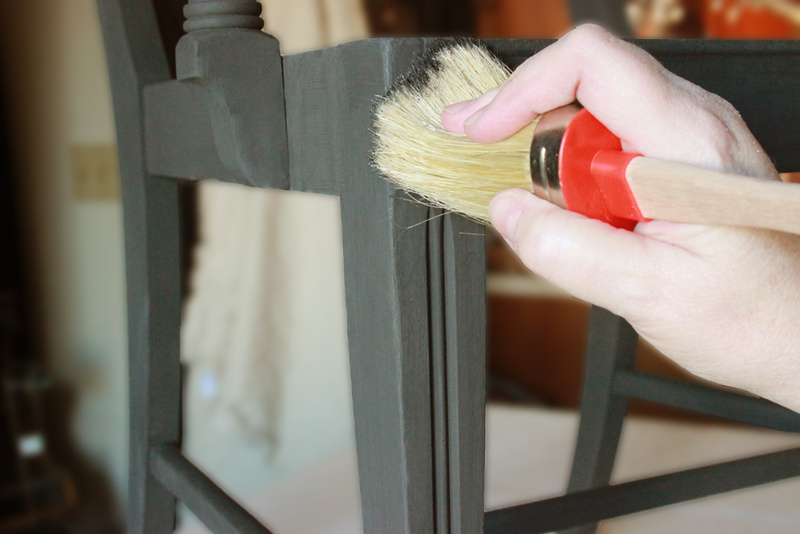 Now this lovely chair has a new lease on life – and you’ve learned a simple new paint technique! Thank you for taking the time to visit The Graphics Fairy – I hope you enjoy this Classic Black Beauty Paint Finish on one of your projects! If you’d like to explore more ways to transform forlorn objects into precious treasures, stop by Thicketworks, and poke around – you’re sure to find something odd interesting! Aww…Thanks Marilyn! Such a simple process, but the results are truly exceptional. I love this transformation! I also need to replace to foam. Any suggestions? Hi Darlene, thanks so much for your sweet comment. When I need to replace the foam, I stop by Joanne Fabrics and purchase just the amount of foam I need. You can add a layer of batting (the stuff used to make quilts fluffy) over the foam to make it even softer. Hope this helps! 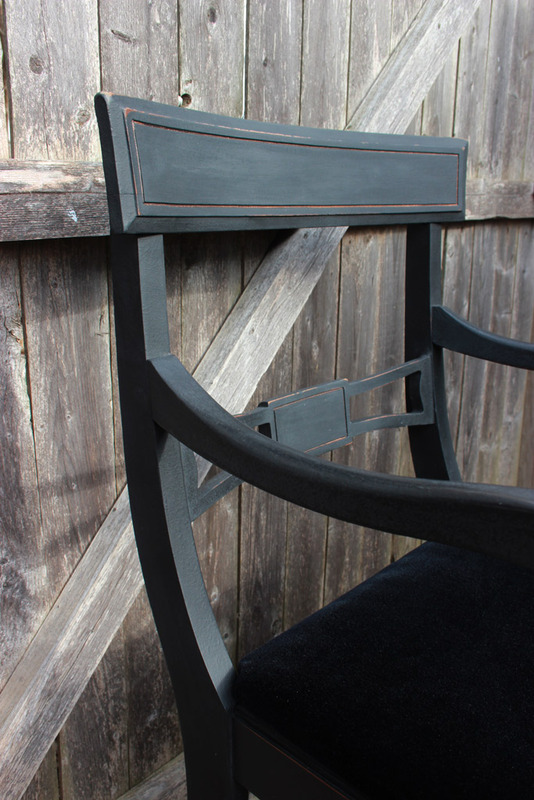 Absolutely beautiful finish on this chair – what a difference! Thanks for showing us your technique. Thanks, Wendy! This technique is so easy, but boy, does it come out beautifully. Loved meeting Jackie. She is definitely a cutie. 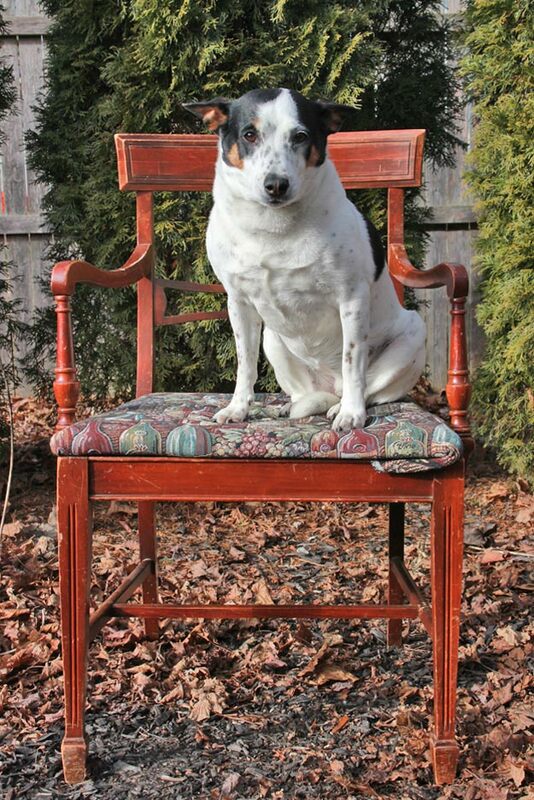 The chair looked beautiful and I bet Jackie knew it would turn out perfect. I’d like to use the black bean on my bathroom cabinets but would wax be enough protection? Thanks for another informative tutorial and please keep them coming!! Hi Paula, Jackie is pleased to meet you, too! Black Bean on cabinets would be spectacular! 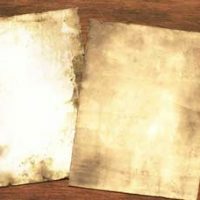 You can wax in order to do any antiquing/distressing techniques, but then I would finish with Aqua Clear Coat, which will seal and protect the Chalk Type Paint/Waxed surfaces for a ‘high-traffic’ area like bathroom cabinets. Thanks so much for taking the time to stop by and comment – have a lovely day! Very pretty! I looks so nice with the black velvet seat cover. Gorgeous. You have an eye for a good chair–I probably wouldn’t have looked twice at this one. But the way you refinished it makes a stunning statement. All the little details give it character. Is Jackie still allowed to sit on it? Jackie is allowed to sit on ANYTHING she wants, but she prefers Papa’s lap to any piece of furniture, no matter how alluring! Thanks for your kind words – they mean more than I can say. Wow! Love it. Are the paints available on line or in stores? Curious why you used black wax instead of clear. Thanks.